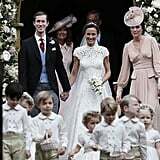 Pippa Middleton married her long-time boyfriend, financier James Matthews, in the UK on Saturday, and she enlisted the help of her niece and nephew, Princess Charlotte and Prince George, to help with her big day. 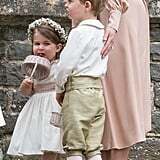 Kate Middleton and Prince William's kids served as Pippa and James' page boy and flower girl, and they looked too cute for words. 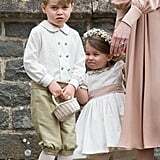 While Charlotte looked precious in a little white dress and flower crown, George rocked a puffy white shirt, tan pants, and knee-high socks. 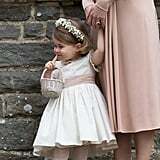 Charlotte also made sure to keep her flower petals in a handy white basket. 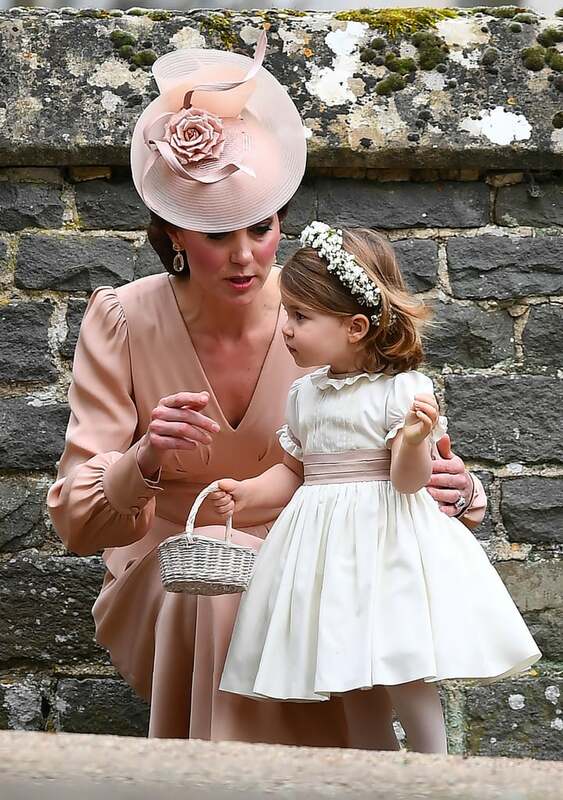 Before the ceremony, Kate appeared to give Charlotte a little pep talk before escorting her kids inside the church. 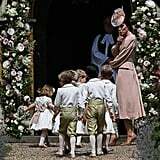 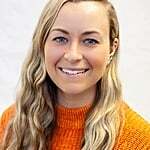 She and Charlotte then shared a sweet moment of looking so excited when Pippa stepped out of the car in her gorgeous cap sleeved wedding gown. 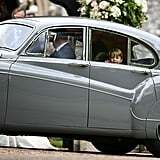 Once it was over, guests told reporters that the children were very well-behaved during the ceremony. 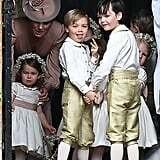 We can only imagine George and Charlotte dancing the night away at the reception!